Hi girls!!! 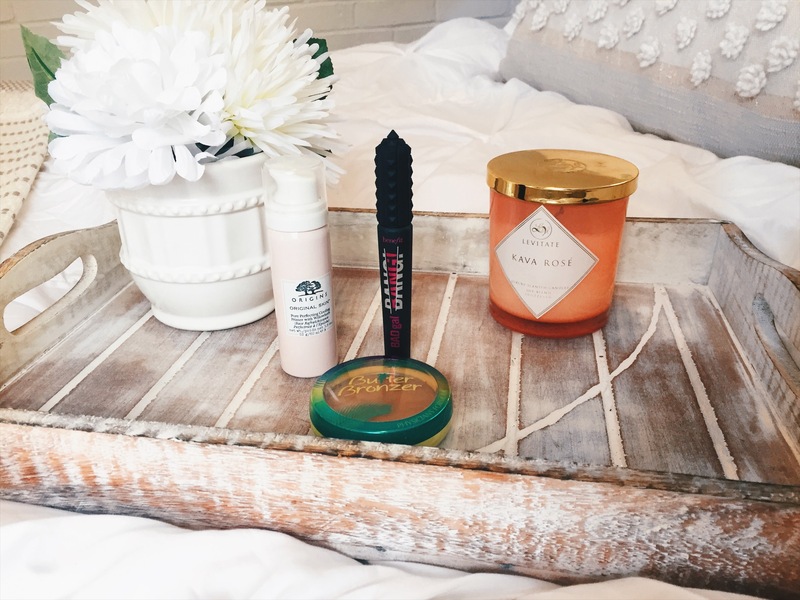 Poppin’ on real quick on this wonderful yet busy Thursday to share my recent beauty buys! I think it is so fun to share my newest editions to my makeup collection. I am in love with all of the products I have recently purchased. The Benefit Bad Gal Bang mascara is amazing!! I highly recommend checking it out. It reminds me of the Roller Lash mascara by Benefit but I like this much better. It really lengthens your lashes and volumes them to give them a dramatic look. 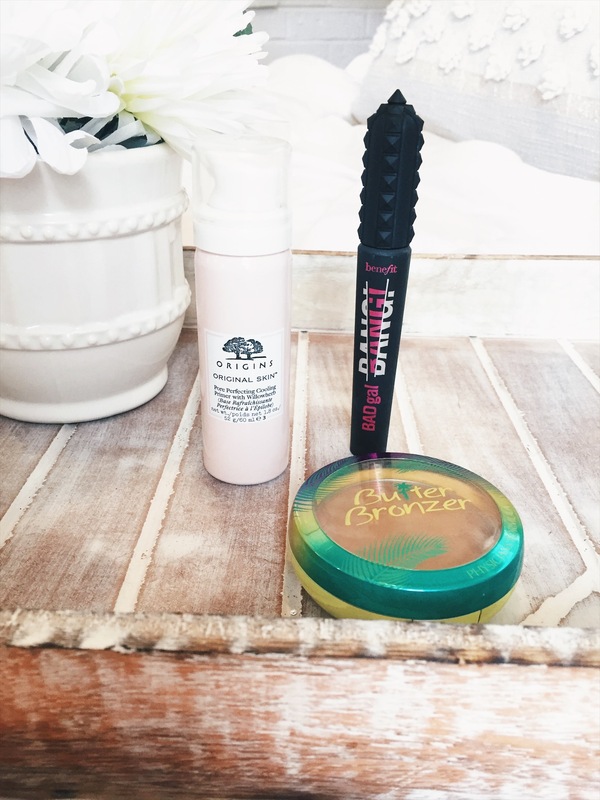 If you are in need of an affordable bronzer, check out the Physicians Formula Butter Bronzer! It blends out so beautify and smells so yummy. It is one of the best drugstore bronzers that I have ever used. Finally, I purchased this foaming primer from Origins, which I LOVE! When you apply it to the skin it tingles and is quite cool, it also smells so good. Check out all of the products below!